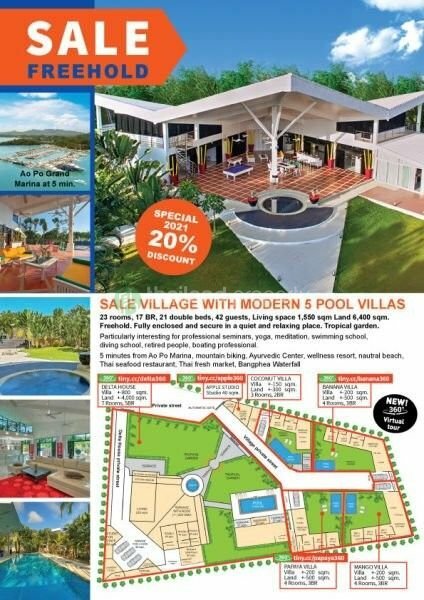 JFTB Phuket Realtor is pleased to offer this luxury and modern villa for sale located in Paklok, on the North East coast of the island. 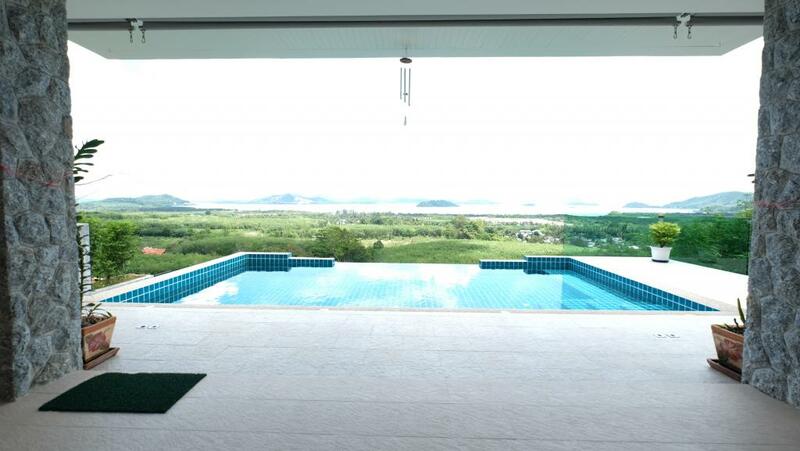 This 5 bedroom villa is overlooking the Andaman Sea with an amazing 180 degree views of Phang Nga Bay. 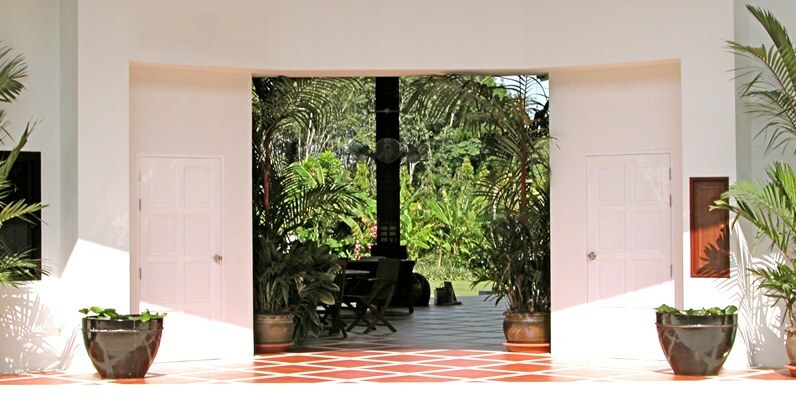 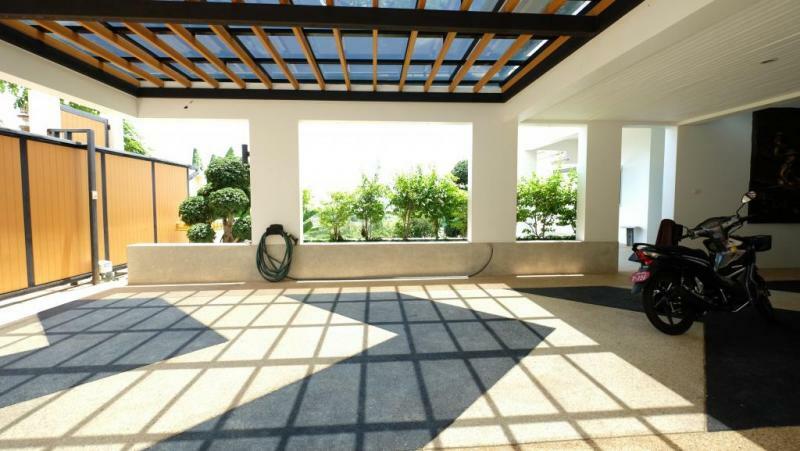 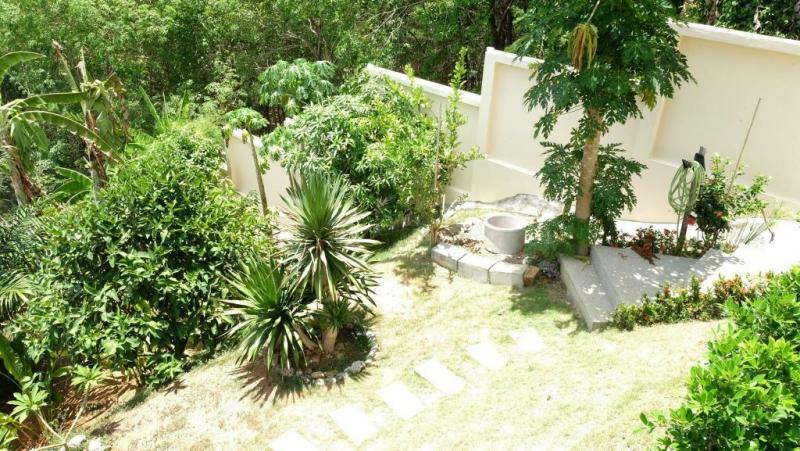 This Phuket property has 800 m2 of living area on 1530 m2 land area. 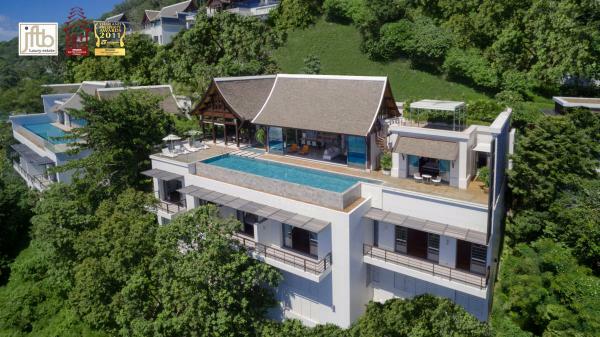 The villa gets an open floor area with 2 master bedrooms on the first floor and 2 guest bedrooms and staff quarters (2 rooms) downstairs, all with en suite bathrooms. 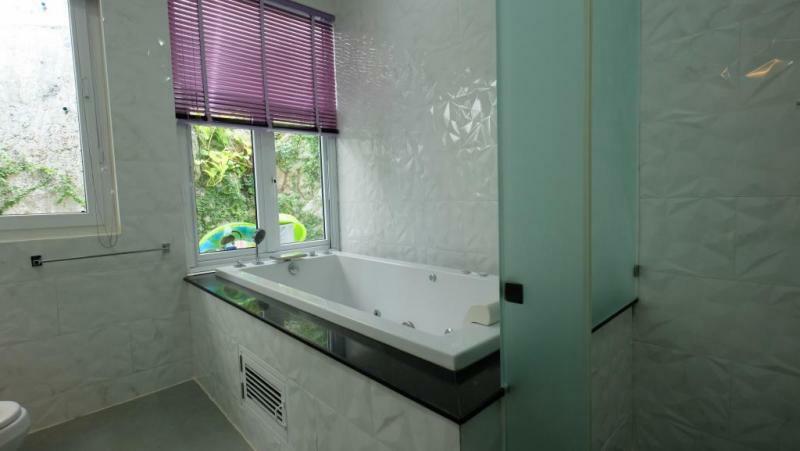 The 4 primary bedrooms gets York air conditioning units. 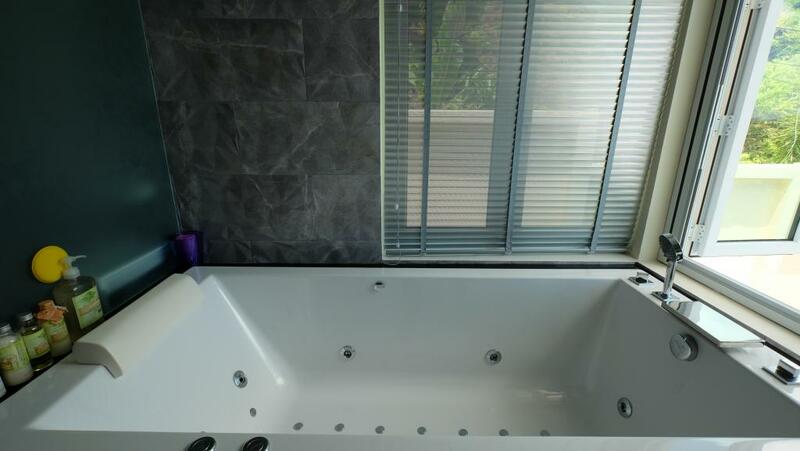 Its features including a large swimming pool, a fully equipped fitness room, a jacuzzi , satellite televisions , alarm system, and keyless entry opening. 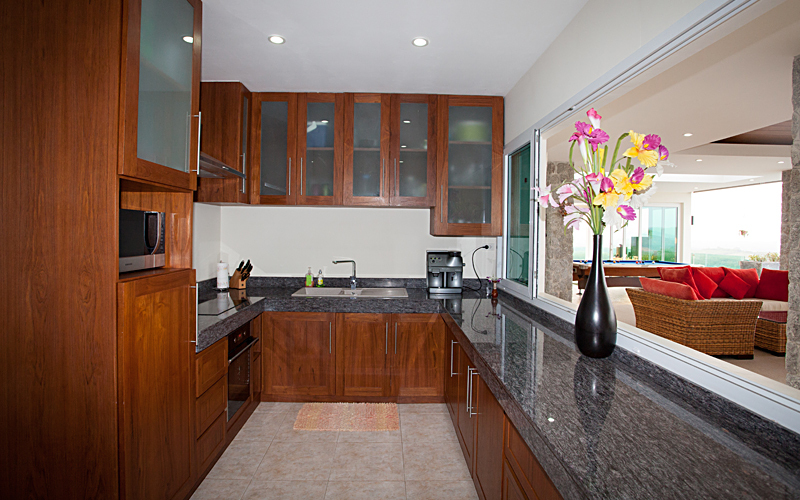 There are 3 kitchens: one western style, a Thai kitchen with gas cooking and one for the staff. 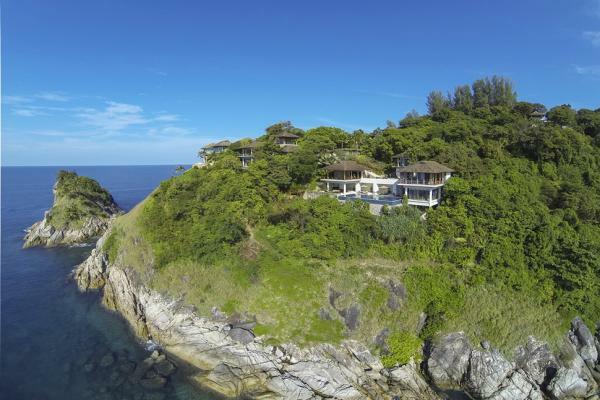 Less than 10 minutes drive to Ao Po Marina, Mission Hills Golf Course and just 15 minutes from the international airport of Phuket. 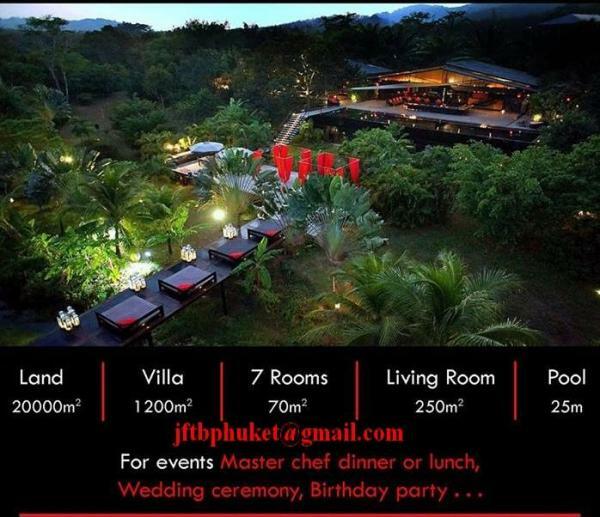 Where to stay in Phuket ? 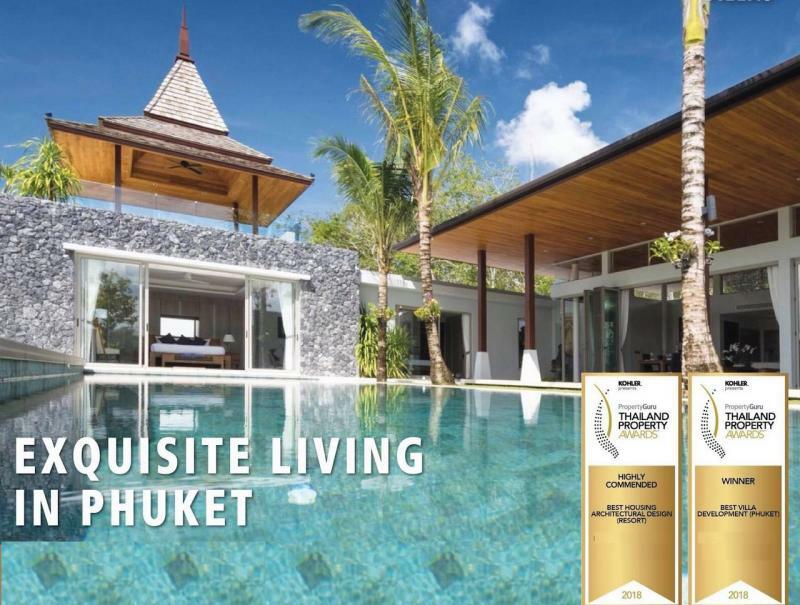 It depends of your style of life but this pool home is in the best place to stay in Phuket for golf or yachting fans. 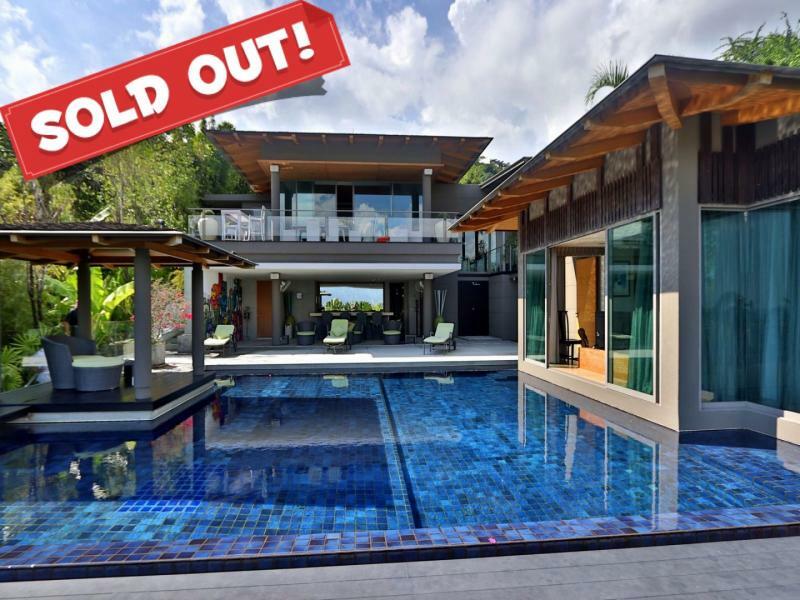 Looking to buy a house in Phuket ? 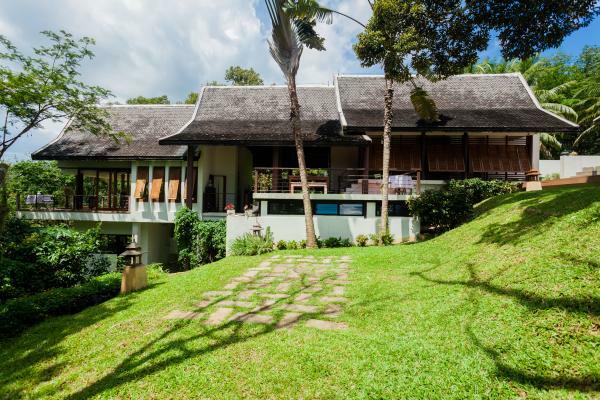 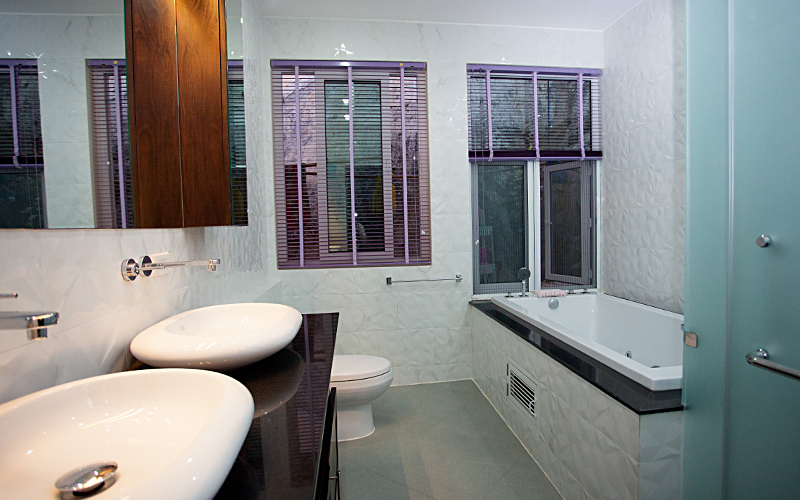 Feel free to visit our list of Phuket property for rent and for sale Phuket.